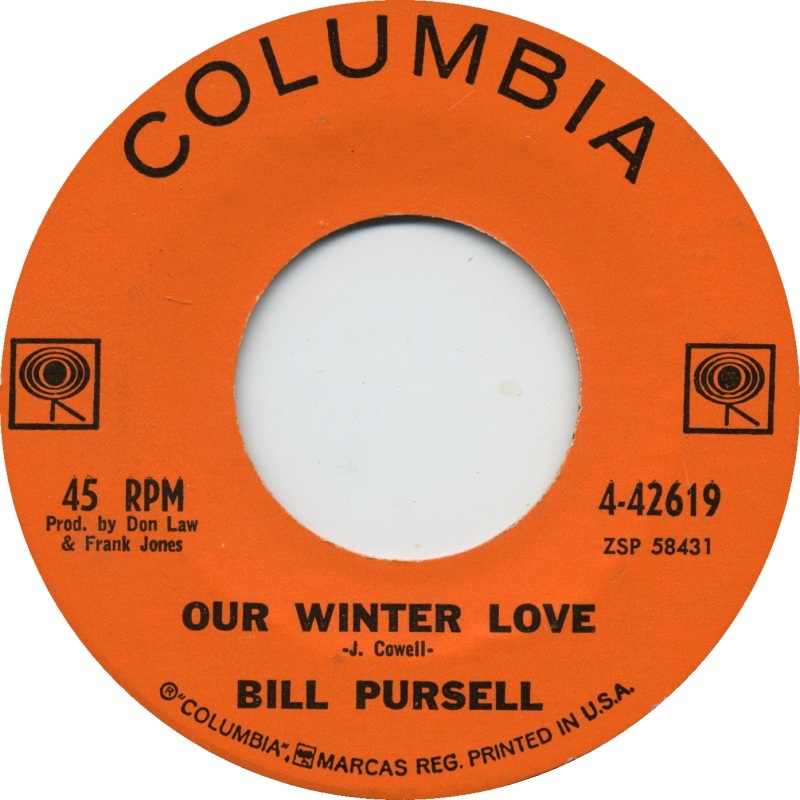 According to the story told in an article by M. C. Antil titled, Song of the Day: Bill Pursell’s “Our Winter Love”, a demo recording of the original composition by Johnny Cowell was mailed to a Nashville publishing company co-owned by legendary session guitarist Grady Martin. The year of composition is not given. The original title of the composition was Long Island Sound. Sometime in 1962, the acetate demo recording by Cowell caught the attention of songwriting partners Bill Pursell and Bill Justis at Martin’s publishing company. Their interest was piqued even more so after Martin mistakenly played the disc for them at the wrong speed (a 78 RPM disc played at 45 RPM), giving the slowed down piano introduction a unique quality. They went to work on creating a recording which would reproduce that effect. With modifications of the melody by Pursell, a Bill Justis arrangement which borrowed a distorted guitar idea from the 1961 Marty Robbins hit Don’t Worry, and backed by an orchestra directed by Martin, they produced a 1962 recording that was very successful. A lyric by Bob Tubert was added no later than 1963. At least two vocal versions of the song were recorded that year. The Mercy — final track on the 1969 album Love (Can Make You Happy), Sundi SRLP 803, credited to “The Mercy” — “The Mercy” was a studio construction put together by Sundi Records in an attempt to capitalize on the hit single (#2, Hot 100 and #2, AC) “Love (Can Make You Happy),” recorded by the band Mercy. 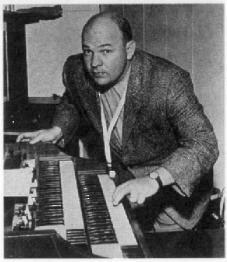 Other instrumental recordings of the song include orchestral versions by André Kostelanetz, Lawrence Welk, and Hugo Winterhalter. It was also the title track of the last recorded album, Liberty LST-7287 (Stereo), Liberty LRP-3287 (Mono), by the violin virtuoso and conductro Felix Slatkin, which was released in 1963. However, Slatkin died suddenly of a heart attack a day prior to the scheduled recording of the song. With the encouragement of the president of Liberty Records and Slatkin’s widow the song was recorded as scheduled on 9 February 1963. 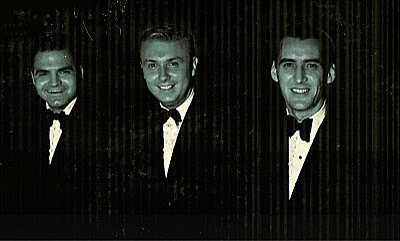 Higgins joined the group in Cleveland in late 1957. With Harding, Higgins, Sturino and the late Iver McIver now on side, the foursome that would prevail through the next two “magic” years had been assembled. Label changes required new names for The Four Emcees, so they later recorded as The Stereos, The Nobles, and The Hi-Lites. This group is not to be confused with the vocal harmony group from New Jersey, Ronnie and the Hi-Lites, active in the early 1960s. 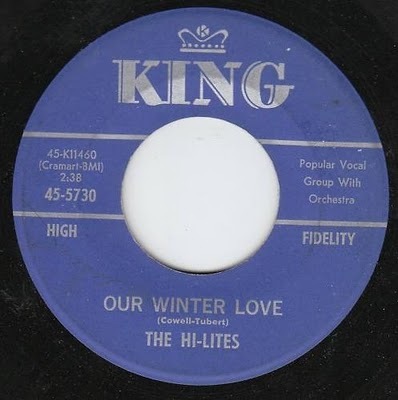 The following audio file of the recording of Our Winter Love by the Canadian vocal group The Hi-Lites has very poor sound quality. I’ve heard several copies of the recording, all with the same sound issues. The ring of mic feedback is heard periodically throughout, an artifact introduced who knows when. Other issues include a general coarseness of the sound throughout, loud cracks and pops, intermittently out of tune music, fluctuating volume, and at least one discordant voice near the end, on the word “desire.” Nevertheless, it is brilliant. This recording has, for unexplained reasons, been included on recent digital re-releases of the Glen Campbell album The 12 String Guitar of Glen Campbell, originally released in 1966, though no early version of the album that I’ve seen contains the track. In fact it replaces the track “Walk Right In” from the original on these digital re-releases. The track has also been included on various other digital release albums on which the instrumentation for the track is credited to Leon Russell (harpsichord) and Glen Campbell (12 string guitar). That Campbell may have been incorrectly credited in these cases is attested to by the fact that in listening to the track one detects no evidence that a 12 string guitar is among the instruments being played on the recording. Also, the lists of musicians credited for contributing to the album on which the track was released, the 1973 Leon Russell album Looking Back, at pages on the album at Discogs.com and Wikipedia, do not include Glen Campbell. 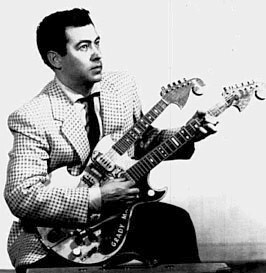 The only person credited with playing guitar on the album is Tommy Tedesco. The arrangement is clearly not akin to the original, which is described in the mcantil.com article cited above as uptempo. Rather, Cowell seems to have adopted a tempo similar to that of Pursell’s 1962 recording. Video provider Zarudny84 indicates that Cowell had composed the piece in response to a request for a trumpet solo for Al Hirt to record in upcoming sessions. The word which follows “tears” in the second section is typically given in online lyrics sites as “grow.” I believe this is a transcription error, and the correct word is “brought,” though neither Bryant or the Lettermen enunciate the word very clearly, especially the “t” ending. The word “grow” instead of “brought” would leave us with the peculiar phrase “as fallen (or falling) tears grow” — we usually speak of tears growing before they fall. The word “brought” in this location is more clearly heard in the 1965 recording by the Dovells, and in the 1970 recording by the Sycamore Street Singers, than in the Bryant, Hi-Lites, and Lettermen versions. Another error commonly found in online lyric transcriptions is the word “bechilling” (or “be-chilling”) instead of the phrase “me chilling.” This error is probably the result of a transcriptionist’s attempt to fit the correct phrase (“me chilling”) with the incorrect transcription of the previous word (“grow” instead of “brought”). The phrase “Me chilling” begins the third line of the second section in the recordings by Anita Bryant, the Dovells, the Lettermen, and the Sycamore Street Singers, while the Hi-Lites sing instead “me chilly,” though in the latter case the phrase doesn’t begin a line, as I will explain below. 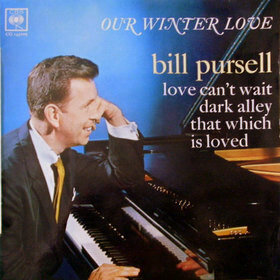 In the 1966 recording by the Lettermen, the final line of the second section appears to be “We’d found our winter love.” This doesn’t make as much sense in the context of the preceding lines (which describe the despair before love was found) as “We’d find our winter love,” as sung by the Hi-Lites (1963), and by the Sycamore Street Singers (1970). In the first and final sections of the Hi-Lites and Sycamore Street Singers versions, the combination of the auxiliary verb “have” and the verb “found” is in the present perfect form, “have found.” So the tense of the “found” line alternates, going from present perfect in the first section, to past perfect in the second, and back to present perfect in the third. 1. The word that begins the final section, “Now,” is repeated in the versions by the Hi-Lites, Anita Bryant, and the Sycamore Street Singers, but not in the versions by the Lettermen and the Mercy. In each case, the note pattern present in the opening three lines of the first section (either 1-5-5 or 2-5-4) is repeated in the first three lines of the second and third sections. The Lettermen and the Mercy retain the 2-5-4 pattern in the last section, despite singing only one word in the first line, by giving that one word two notes. Hi! Thanks for all the great information. I have a friend looking for the sheet music (piano/vocal) for this (I think my best bet would be The Lettermen’s version), but it doesn’t seem to be in print anywhere. Any ideas? Thanks! Sorry for the long delay in response, a regrettable oversight. Most of my sheet music searches involve works which are in the public domain as a result of their advanced age. I ordinarily begin with simple Google searches as might anybody. — For voice and piano. Includes chord symbols. For reasons noted in my article I would not recommend the lyric sung by The Lettermen in their 1967 recording. That is, I’m not fond of the version of the lyric sung by the Lettermen because I think the lyric version sung by the Hi-Lites is more coherent and logical than those sung by Bryant, the Dovells, the Lettermen, and the Sycamore Street Singers. However, the more logical and coherent version of a lyric is not necessarily the closest to the original lyric, that written by the lyricist. Very wonderful, intelligent, and articulate delving into this song’s history. Do you happen to know if the backing vocals of Bill Pursell’s recording are the Anita Kerr singers? The CD liner notes of the original Columbia/Sony issue don’t specify, in my recollection. Thanks. The third verse was a much easier decision, as Justis called in the Anita Kerr singers to provide the instrumental some choral texture. Their voices, combined with Justis’ angelic orchestration, propelled the verse, the melody, and in fact, the entire song, into some chilly, snow-covered netherworld. Thanks for the assist. I’ve added the Anita Kerr Singers to the musician credits. Where can you buy the music to play Our Winter Love? Do you know the Epic 5-9583? Nice find. Thanks. I was unaware of that recording, and will be looking for a copy of it to post here. 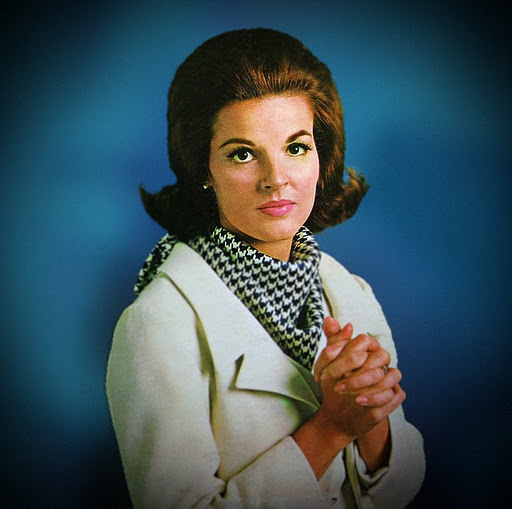 The A-side of the single, “Kookie Ookie,” is described in an eBay advertisement on the single as a “female uptempo doo wop.” What makes you think the Sinceres might be related to Anita Kerr? If you want I can send you, that song, I do the same question, but Our winter love by the Sinceres it’s instrumental song, not doo wop, the side [A] yes is doo wop. Yes, please do send a copy of the recording. Hopefully, it will be an in an audio format that I can use on a WordPress.com (free) account. Thanks much for the labels. Please excuse the fact that in order that the size could be reduced I’ve changed the URLs of the images. However, I’ve linked each of them to the Photobucket pages they were originally linked to, respectively. I’ve reversed the order (A and B sides) that you originally gave above, to agree with the order given by various reliable sources such as RateYourMusic.com, the discography site globaldogproductions.info, Goldmine Price Guide for 45 RPM Records, for the two sides of (US) Epic 5-9583. The Caravaneros guide you provided also says, on page 84, “Our winter love es la cara B del cuarto. Cara A: Kookie ookie.” I did, however, find that some French discs may have been released with the order reversed, and I wouldn’t be surprised to find that to be the case for releases in other countries. Don Law and Frank Jones are typical of Johnny Cash, Johnny Horton, Ray Price and others and was normal at that time included in the B-side instrumental with some studio musicians and this is one of those cases. Thank you very much for the wonderful book. Understood. Thanks for this helpful information. It’s not clear whether you want the recording by Bill Pursell, or that by Anita Bryant, or both.